Inquisitive to learn about adrenal cortex and the significant clinical disorders associated with it? Here is the sqadia.com medical video lecture to serve the purpose. This V learning lecture provides a detail explanation of congenital adrenal hyperplasia, Addison disease and adrenal hyperfunctioning. Amongst the later, Cushing disease has been presented. That is not all! 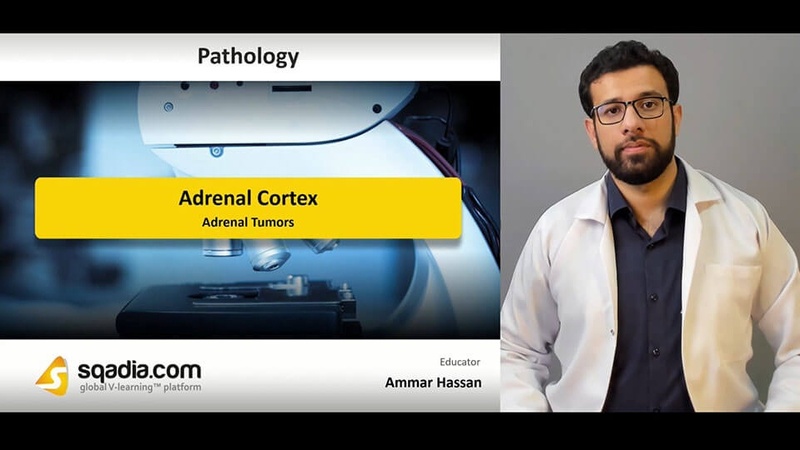 Other conditions related to adrenal cortex including Conn syndrome, pheochromocytoma and neuroblastoma have also been explicated. In the start of this section, adrenal cortex and its various zones have been discussed. 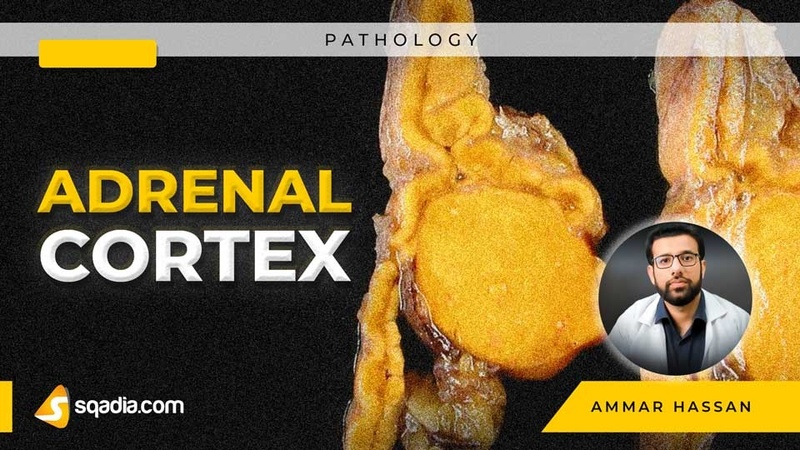 Following this, a medical condition termed as congenital adrenal hyperplasia has been elaborated. Additionally, certain enzyme deficiencies, clinical features, 21-hydroxylase deficiency along with the underlying pathophysiology has been delineated. In the end, inheritance, diagnosis, and features in girls and boys have been highlighted. Firstly, adrenal insufficiency also entitled as Addison disease has been presented. Following this, its pathophysiology and the underlying causes of Addison disease have been reported. Furthermore, clinical features, diagnostic tests and insulin induced hypoglycemia test has been explicated. Conclusively, treatment strategies have been mentioned. In the commencement of this section, Cushing syndrome and its etiology has been shed light upon. Moreover, clinical features, first line tests along with the single dose dexamethasone has been comprehensively explained. In the end, second line screening and the algorithm for Cushing syndrome has been highlighted. Initially, primary hyperaldosteronism, its symptoms along with diagnosis and treatment has been brought under consideration. In addition to this, Conn syndrome and its diagnosis has been elaborated. Furthermore, pheochromocytoma, its histology and another clinical condition termed as neuroblastoma along with its pathophysiology and symptoms have been expansively explained.